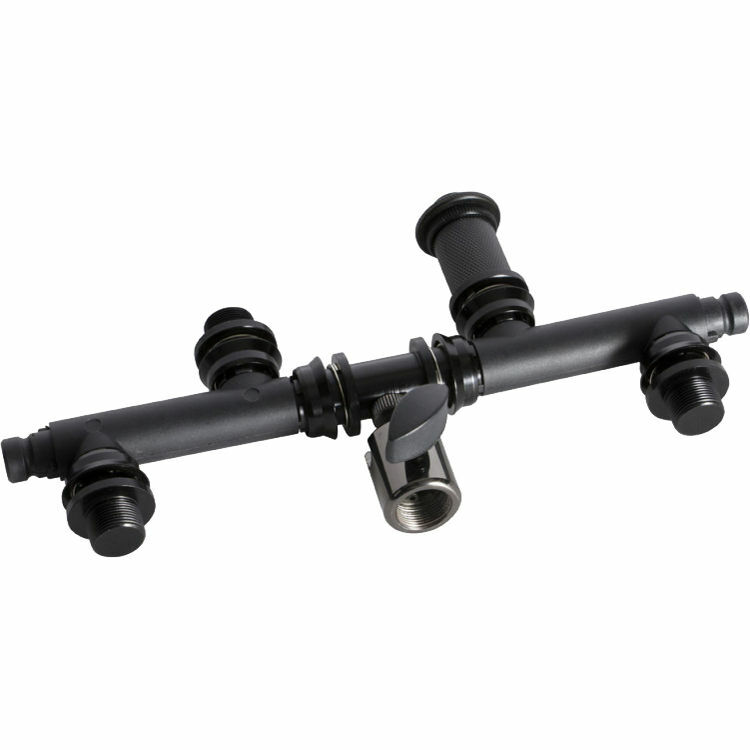 The MY800 Quick Release Stereo Bar from On-Stage is a versatile stereo miking bar that can be orientated horizontally or vertically. It can be used to hold up to six microphones at a time for various techniques such as X-Y, O.R.T.F., N.O.S, DIN, and wide A/B configurations. The bar can be disassembled for compact transport and storage. It includes a riser for positioning one mic over the other and four quick release 5/8"-27 mounts. Additional mounts can be purchased separately. Box Dimensions (LxWxH) 10.4 x 5.1 x 0.1"